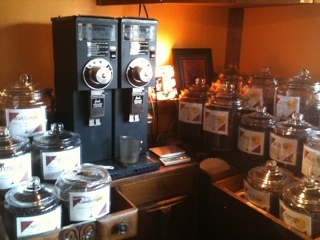 Head Over Heels: Local Coffee shops part 4! Local Coffee shops part 4! I have to say that this place fits in a somewhat of a category of its own. They offer coffee and the general house variety but there is so much more. I was enamored by the tuscan style that I didn't want to leave. I expected to stay about five minutes and run back home...well I was in for a treat. 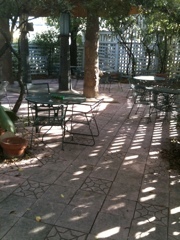 I ended up staying for about an hour, taking tons of pictures (i apologize for the low quality all i had was my iphone) and relaxing on the beautiful garden patio. 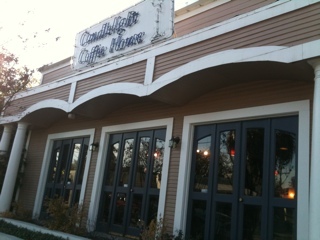 Candlelight Coffee House is definitely one of my new favorite places to visit. They have cornered a market that combines wine and beer with your favorite coffee or espresso drink. 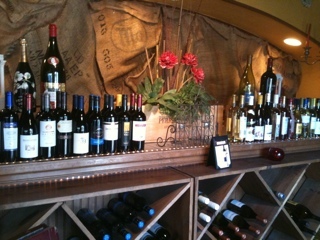 The first thing you see is this beautiful wine set up that has a large assortment to browse. 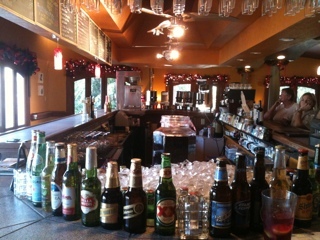 Then you are greeted by the bar and barista behind the counter. The one staff member I met was very nice and answered all my detailed questions. 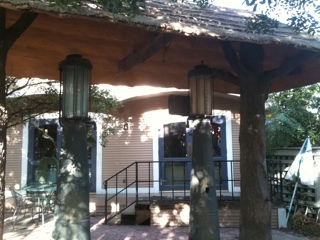 The patio is just beautiful and they have space heaters for those nippy texas nights...it's covered in ivy and enclosed by a beautiful white picket fence. It reminded me of the secret garden. 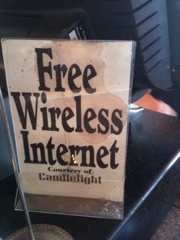 They have free internet and quite a few tables to sit and relax, as well as oversized couches. What a variety of coffee! beautiful site for my coffee lovin' eyes! The only downside of the sweet place is the parking. there is no lot directly connected that I could tell...there is street parking but only on specific parts of the street. For me the "Pro's" definitely outweigh the Parking "Con". another successful coffee outing...ill be taking Brent for a special brunch date on saturday ! 10-2pm saturdays and sundays!